Two developers have sued the city, alleging the rules conflict with state regulations. Somerville’s housing wars have a new battlefield: a city ordinance that controls conversions of apartments to condominiums, which tenant advocates say has been exploited by landlords, while developers complain it is overly restrictive and possibly illegal. The fight is playing out in City Hall, where Somerville aldermen acknowledge the 32-year-old ordinance, a vestige of the rent control era, is antiquated and in need of rewriting. And now a legal challenge is threatening to kill the ordinance outright. Two developers have sued the city, alleging the condo conversion rules conflict with state regulations that were adopted when rent control was repealed in Massachusetts in 1994. 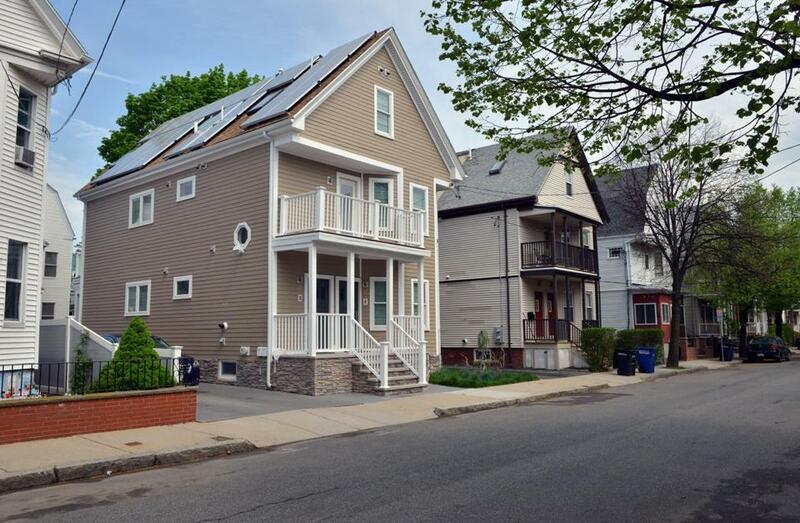 Somerville is the only community in the area that regulates the conversion of two- and three-family homes; other communities, such as Boston, only regulate conversions in buildings with at least four units. Somerville also requires property owners to notify a city board and their tenants at least one year in advance of a conversion. The attorney for the two developers who brought suit, Richard Di Girolamo, said Somerville is effectively practicing a form of banned rent control by having a board that can deny permits and put rent restrictions on units targeted for conversion. His clients sued in Somerville District and Middlesex Superior courts when the Somerville condo review board revoked permits for the conversion of a three-unit house on Glen Street after tenants complained they had not been given proper notification. Removing the limitations on two- and three-family homes would make conversions for other property owners, such as Lori Galvin, much easier — and less expensive. She has so far spent three months and about $30,000 to turn her two-family home into condominiums — one unit for her and one to sell. Those related expenses include forgiving $5,000, or two months’ rent, for the tenants in her rental, in exchange for them moving out sooner than the one-year grace period allowed under the city law. “Everybody has said to me — my lawyer and brokers — that Somerville’s the worst for condo conversions,” Galvin said. But the threat of losing oversight over conversions has alarmed tenant activists, who say that, if anything, the city goes too easy on developers by not enforcing the ordinance consistently. They say property owners have gotten out of the one-year notification requirement by evicting tenants or ending leases because a vacant unit is much faster to convert. Somerville is largely a rental market, and two- and three-family homes in particular make up 70 percent of the residential properties in the city. But the pace of converting those apartments has been accelerating in recent years; there were 50 percent more units converted in 2016 than the year before, and 60 percent more than in 2012, according to city data. Most of those units were vacant at the time of conversion, even though the vacancy rate for apartments in Somerville is only about 2 percent, said Alex Bob, coordinator for the Somerville sustainable neighborhoods initiative and staff member to the condo review board. So with tenants already facing displacement in a red-hot real estate market, advocates said a successful legal challenge of the city ordinance would devastate the rental market. Somerville officials acknowledge the one-year notification of the board for conversions has not been consistently enforced. Bob said there is “anecdotal evidence” landlords have gotten around the provision by either ending a lease or evicting tenants. City officials have asked the condo review board to enforce the notification, but Bob said the board has decided not to act pending the legal challenge. Niedergang said the aldermen are working on a new version of the ordinance in case the legal challenge to it is successful. For example, he wants to update how much displaced tenants would receive from the amounts that were set in 1985, which is now $300 or one month’s rent, whichever is higher. In Boston, Mayor Martin J. Walsh in 2014 increased the relocation stipend for displaced Boston renters to $6,000, or $10,000 for low-income, elderly, or disabled tenants to better reflect the costs of moving. But there will be no getting around the loss of protection for tenants of two- and three-family homes if Somerville’s ordinance fails its legal challenge, Niedergang said.